We only use the finest meat and poultry sourced from local suppliers and take great care in making sure we prepare all our cuts to the highest standards, for example our beef is hung and matured for a minimum of 21 days before we cut and prepare it for sale to the public. 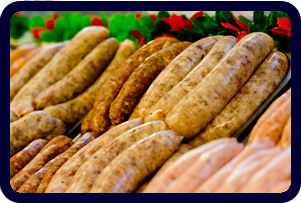 All our award winning sausages and pork pies are made on the premises. Many of our pies are sold out by lunchtime so why not ring up and order one early to avoid disappointment. 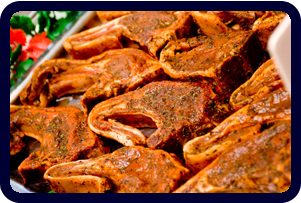 We supply home cooked meats all of which are temperature monitored for food safety (HACCP plan) and gluten free produce is available (please ask in store for a price and product list). 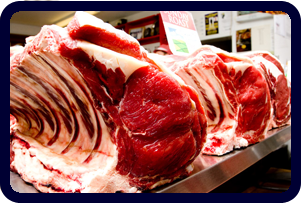 We are one of a handful of butchers in the UK approved by Coeliac UK.